Would you rather slap Rihanna or punch Chris Brown? That's the question an ad on Snapchat dared to ask. Snapchat came under fire this week after an advert on its app asked: "Would you rather slap Rihanna or punch Chris Brown." The ad, which was for a game called "Would You Rather", was labelled insensitive. Chris was found guilty of assaulting Rihanna after a Grammys party back in 2009. Snapchat apologised for the "disgusting" ad. "This advertisement is disgusting and never should have appeared on our service. We are so sorry we made the terrible mistake of allowing it through our review process. We are investigating how that happened so that we can make sure it never happens again," the company said in a statement. But the apology was not enough for Riri. She took to Instagram on Thursday to slam the app. “SNAPCHAT I know you know you ain’t my fav app out there! But I’m just trying to figure out what the point was with this mess!" she wrote on her Instagram story. 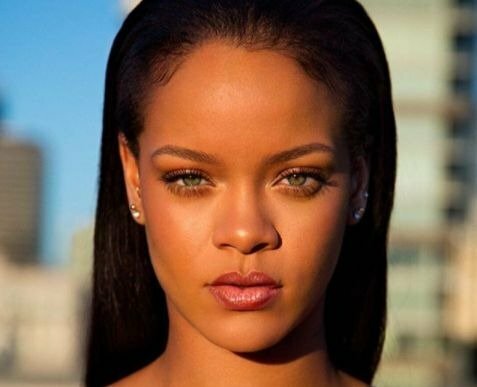 Rihanna clearly won't be using Snapchat again. "You spent money to animate something that would intentionally bring shame to DV victims and made a joke of it!!! Shame on you. Throw the whole app-oligy away," she added. Snapchat's value dropped by $1-billion following the 'Wild Thoughts' hitmaker's comments.